ok, so I'm the sucker that still reads the NY Times Wedding Announcements. I only read the story ones, not the plain-jane boring announcements. 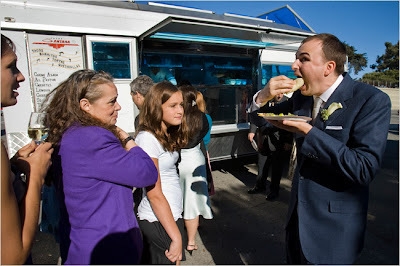 This one is particularly funny and entertaining, mostly because it involves tiny donkeys (donks), NPR, and the fact that they got a taco truck (ROACH COACH) to cater their wedding. Sweet! Sounds like a fun time.